Sam Farr was born on July 4, 1941 in San Francisco. He grew up in a political home, as his father served for many years as a California state senator. Sam Farr earned a degree in biology from Willamette University in Oregon in 1963, then studied Spanish at the Monterey Institute of International Studies, and did Peace Corps work in Colombia from 1964-66. After returning to California, he worked as a staffer in the lower house of the California state legislature from 1965-75. In 1975 Farr was elected to the Monterey County board of supervisors and served there for five years. From 1980-93 he served as a Democrat in the California State Assembly. When veteran Democratic congressman Leon Panetta resigned in 1993 from the U.S. House of Representatives in order to take a position as head of President Bill Clinton‘s Office of Management and Budget, Farr won Panetta’s vacated seat (17th Congressional District of California) in a special election. He was subsequently re-elected by a wide margin in every congressional race thereafter until 2016, when he did not seek re-election. In February 2002 Farr was part of a delegation of California congressional Democrats — among whom were such notables as Bob Filner and Diane Watson — who, along with entertainer Carole King, paid a friendly visit to Havana in an effort to promote a softening of American policy toward Fidel Castro‘s Cuba. In 2003 Farr co-sponsored a bill to ease restrictions against U.S. trade with Cuba. 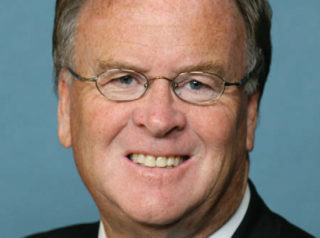 In 2006 Farr was one of just 37 House Members who voted against the Palestinian Anti-Terrorism Act prohibiting U.S. aid to the Hamas-led Palestinian government “until it renounces violence, recognizes Israel’s right to exist as a Jewish state, and accepts all previous Israeli-Palestinian agreements.” The measure was supported by 361 House members and passed by unanimous consent in the Senate. On December 22, 2009, Farr was one of 33 U.S. Representatives who signed a letter to Hillary Clinton, calling on the Secretary of State to pressure the Israeli government to end its ban on Palestinian student travel from Gaza to the West Bank. “We applaud your efforts to support educational opportunities for Palestinian youth, including your initiative to increase U.S. funding for Palestinian universities and educational programs in Gaza and the West Bank,” added the letter. On January 27, 2010, Farr was one of 54 Members of Congress who signed a letter asking President Barack Obama to use diplomatic pressure to end Israel’s blockade of Gaza—a blockade which had been imposed in order to prevent the importation of weaponry from Iran and Syria. In early 2013, Farr was one of dozens of prominent leftists who urged President Barack Obama to award, posthumously, the Presidential Medal of Freedom to the late Fred Ross Sr., a Saul Alinsky-trained radical who mentored both Cesar Chavez and Dolores Huerta. Farr was a member of the Congressional Progressive Caucus in the House of Representatives. Americans for Democratic Action consistently rated his voting record as 95 to 100 percent on the left side of legislation. For an overview of Farr’s voting record on key pieces of legislation, click here. Further Reading: “Sam Farr” (Votesmart.org, Ballotpedia.org, Keywiki.org); Sam Farr’s Positions on Key Issues (OnThe Issues.org).